If you’re a First Liberty Insider, you’re no doubt familiar with the Bladensburg WWI Veterans Memorial, a 93-year-old veterans memorial that’s on the brink of demolition after an appeals court ruled it unconstitutional. On February 27th, our legal team was at the the U.S. Supreme Court for the final showdown, presenting oral arguments to the nine Justices in defense of the memorial. The High Court’s ruling could decide whether or not the memorial will continue to stand in honor of 49 fallen WWI veterans of Prince George’s County, MD. But this isn’t just about keeping the bulldozer away from one veterans memorial in Maryland. Or, the similar memorials in Arlington National Cemetery…or even those veterans memorials right in your own hometown. So let’s delve deeper and see what’s turned American courts sour against veterans memorials with religious imagery. Since 1971 – for almost half a century – courts have used the “Lemon,” or “endorsement” test, to determine whether the government has endorsed or established a religion by allowing public displays that may have some religious imagery. And that test is precisely what’s put many of our nation’s war memorials in the cross-hairs and under impending threat of desecration or destruction. Why exactly is this test so bad? For one, it leaves it up to a so-called “reasonable observer” to decide if the state is endorsing a religion. And almost routinely, this “reasonable observer” is offended by anything religious that shows up on public property. In short, the Lemon test essentially gives the upper hand to feelings, rather than solid legal argument. That kind of legal doctrine is what prompts people to flood the system with lawsuits simply because a monument or display personally offends someone’s “feelings.” Of course, what’s not taken into consideration is the heartbreak of the people who built the memorials in the first place – like the Gold Star Mothers and The American Legion, who built the Bladensburg Memorial in honor of their fallen sons and brethren. Beyond that, the Lemon test has also caused so much confusion that government officials – especially local officials – are left unsure about what the law is when it comes to displays with religious imagery. 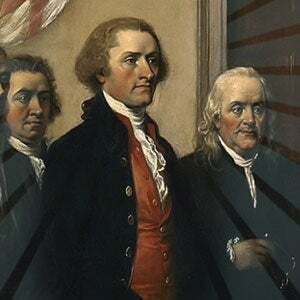 So by default, the government ends up shutting down displays with religious imagery altogether – the kind of thing that the Founders would be appalled by. Right now, however, we have a prime opportunity to oust the Lemon test and return to the original interpretation of the Constitution. If you still need more evidence that the Lemon test is bad judicial doctrine, take just a minute to ponder what the late Justice Antonin Scalia wrote in 1993. Now that’s a rather colorful criticism, wouldn’t you say? But this isn’t just an impulsive or capricious criticism. On the contrary, it is based on a sound, textual understanding of the First Amendment to the U.S. Constitution, which was designed to stop the government from interfering with your God-given right to practice your faith. It was never meant to exclude religion from the public eye. 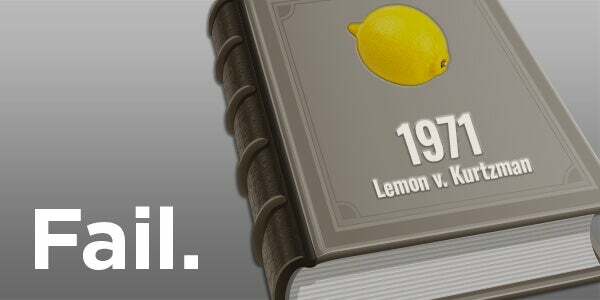 Today, fickle and subjective legal precedents like the Lemon test have allowed anti-religion interest groups to basically use the First Amendment as a weapon to sanitize the public square of all traces of religion. That’s precisely why the Lemon test is no longer viable – and why we’re arguing in the Bladensburg Memorial case that this outdated legal standard has got to go. You can make and save history. Help us win the Bladensburg Memorial case at U.S. Supreme Court.